Unlike the old saying goes 'Long hair, don't care' - I in actual fact do. Like some girls, I'm very attached to my long locks having spent a lot of my life growing and maintaining it. Growing up I was only allowed short hair so the minute I could take control over my hair, I did. To some hair might not mean as much but it gives me confidence so forgive me for gushing about it. Although I do have long hair these days, what I lack is volume and thickness. 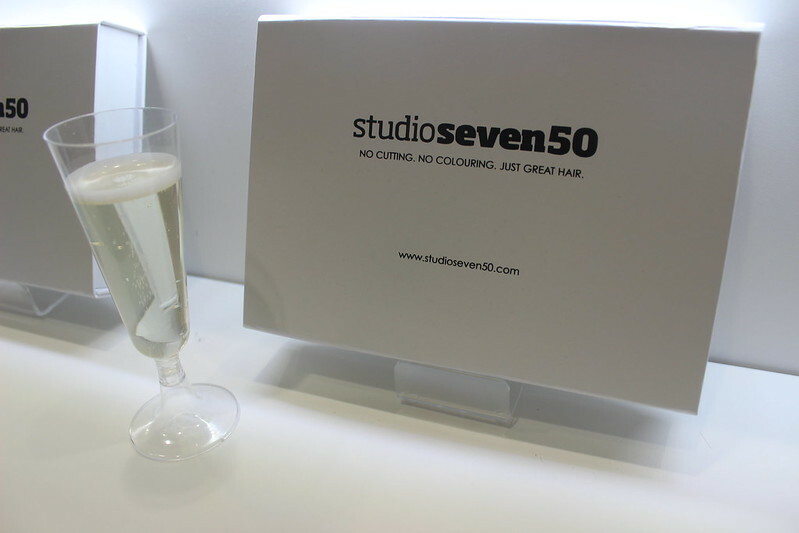 So when I was kindly invited down to the recently opened Studio Seven 50 by Manchester Arndale, me and my long but flat locks leapt at the chance. Run and owned by Dee, they specialise in salon profressional extensions that are cuticle correct. I along with Emma from What Emma Did were greeted with some prosecco (always a good shout) before our own personal consultations with Dee on what extensions would best suit us. Just as an FYI - Emma is the blonde in most of these photos, as as I was getting mine done, I photographed her process more. Dee and her team took into account the length of our natural hair and the thickness. Whilst I do have fine hair, I have a lot of it (if that makes sense), so the aim for myself was more about thickness and volume. Whereas in Emma's case, the added length was clearer to see. In terms of colour, one great bonus about coming to Studio Seven 50 as opposed to picking up a pack in store, is being able to blend. 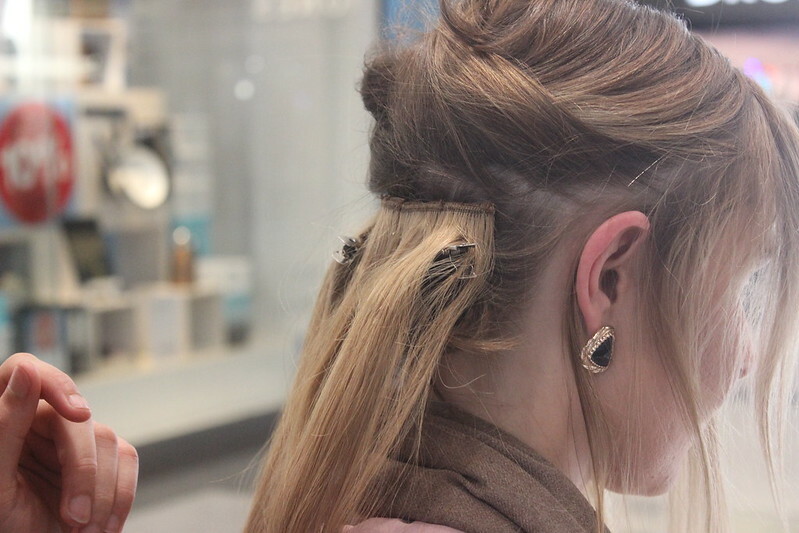 I am a complete hair extension novice, and if I'm being really honest - I'm not that great at hair in general. Everything I know I've taught myself along the way or via YouTube tutorials. 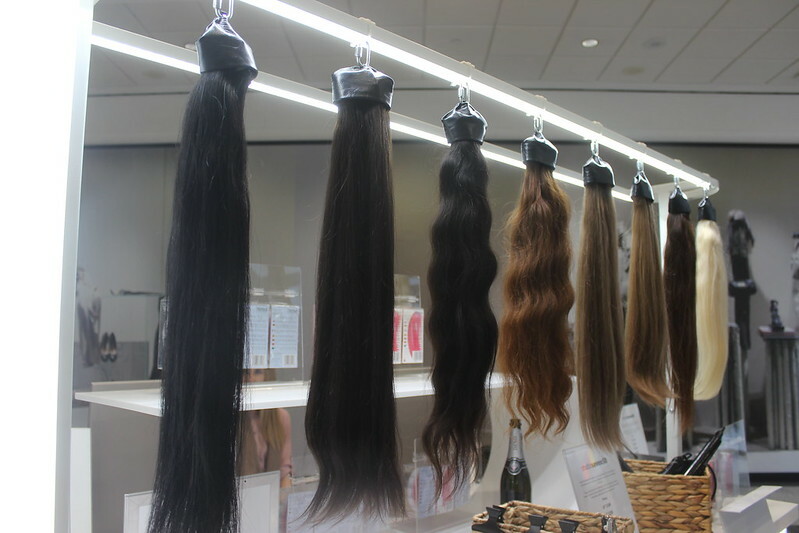 If I was to walk into an extension shop tomorrow, I'd be overwhelmed. I do have coloured hair but I only refresh the shade once a year probably so I'm getting some lighter tones of brown, red and unfortunately some blonde baby hairs popping up. I would colour it but after years and years of colouring, I'm wanting to give it a little break, plus it looks more natural than the usual box dye job. Dee assessed my multi-coloured hair and matched it with two shades of extensions - dark brown and chocolate to give it a tad more warmth. I believe I was given 20" extensions which were also trimmed slightly to blend in with my own hair. Dee explained each step of the installation - these were with clips so totally multi-functional for when you want to wear them. 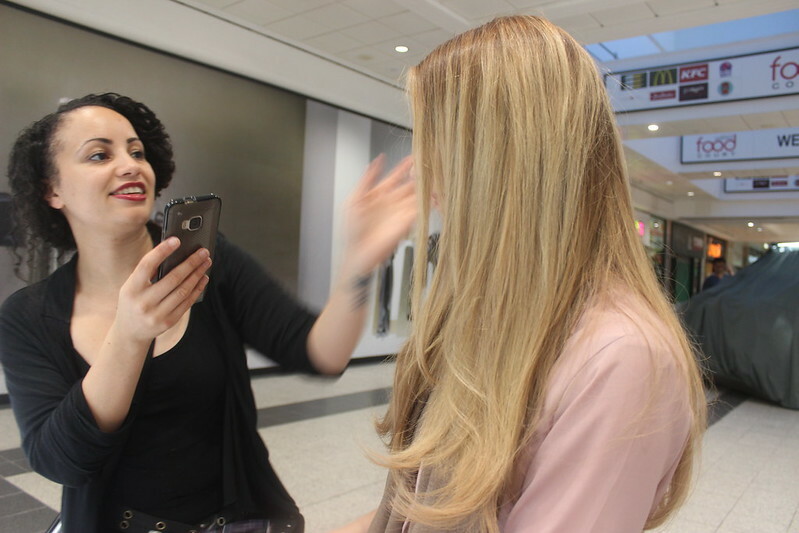 It took around 10-15 minutes to clip in and blend from start to finish and both Dee and her team were fantastic at putting me at ease with my new hair - as I am sometimes conscious about extensions as you see quite a lot of bad jobs. I will admit it did take a day to get used to the extra weight as my hair was lusciously thick - just ask my colleagues as the morning after I was swinging my hair in their faces like a horse (sorry team). Following that a lot of people noticed the new thickness and it took little effort to get volume styling that night. As my hair is naturally long, the new length wasn't massively visible which is what I wanted it to look like. 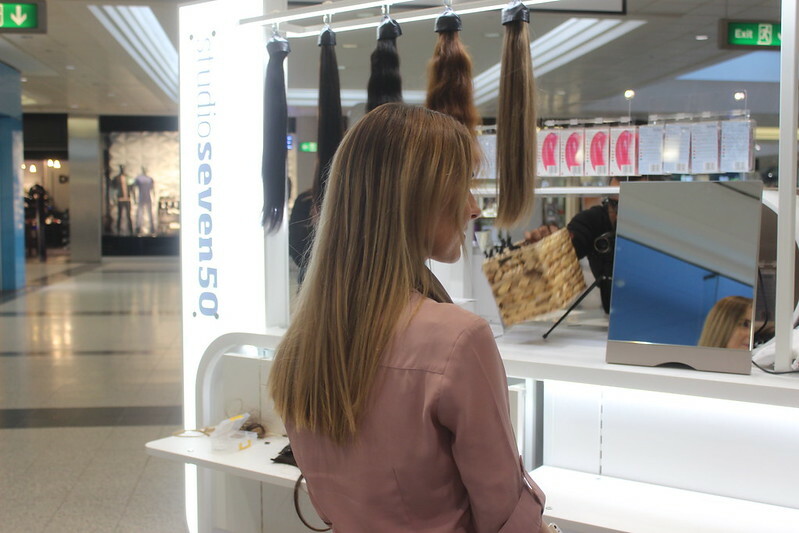 The hair itself is of fantastic quality and whether you're looking to add some length or like me, try out volume then I highly recommend you heading down to Manchester Arndale and checking Studio Seven 50 out!